For many, the name Tottori will evoke images of “Japan’s desert.” A largely rural prefecture on the southwestern coast of Honshu, Tottori is known first and foremost for its sand dunes. A natural phenomenon and oddity, the Tottori sand dunes were formed thousands of years ago as sand deposits in the Sea of Japan were pushed back onto land. The small slice of desert — 16 km long and just 2 km wide — stands on the outskirts of Tottori City, the prefectural capital. As it is the only geological formation of its kind in Japan, tourists flock to the dunes and its camel ride (yes, really), sandboarding and sand-sculpture museum attractions. I don’t blame them. 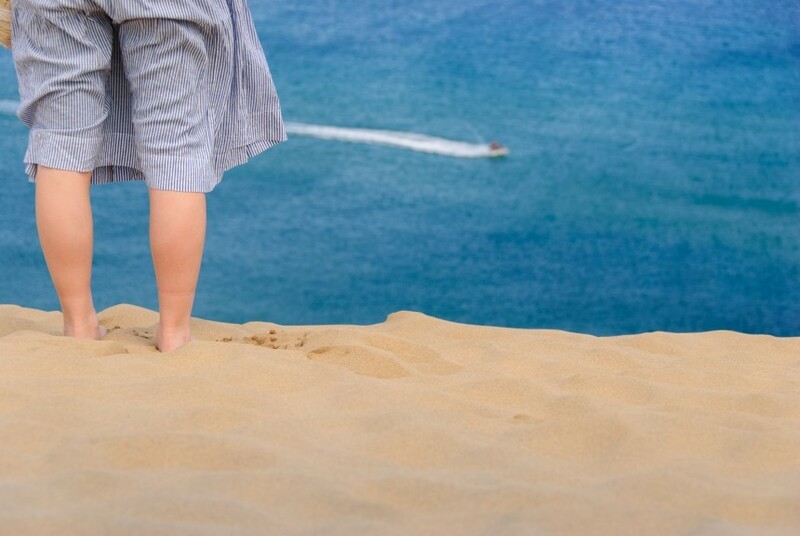 The novelty and, depending on the weather, beauty of standing on top of a 160-ft dune overlooking the Sea of Japan makes the Tottori Sand Dunes worth braving the tourist kitsch. 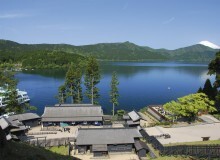 But with all the hype, many visitors miss out on the prefecture’s other natural beauties and historic sites. This is a guide to Tottori for those who want to see more than mountains of sand. For any visit to Tottori, make home base one of the many onsens that populate the mountain-adjacent region. 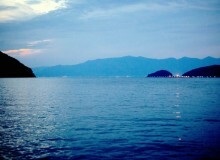 Try the popular Kaike Onsen, near the Shimane prefectural border, for seaside views. The inland Misasa Onsen is another popular destination with spring waters labeled “therapeutic” for containing the highest radon quantity in the world. A weekend stay at one of these onsen ryokans is a chance to relax, take a break from everything that is Tokyo and is a great jumping-off point to other parts of the prefecture. 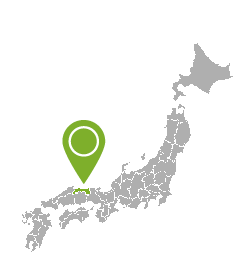 No matter where you choose to stay, you’ll likely be in the shadow of Tottori’s main attraction, Mt. Daisen. 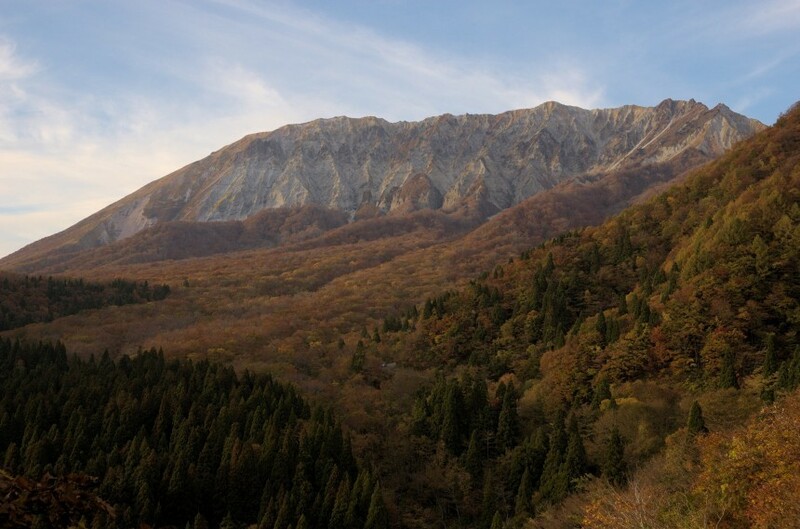 The tallest summit in southern Honshu and part of the Chugoku mountain range, Daisen is a striking sight. Views of the volcanic mountain change drastically depending on which side you’re facing. From the northwest, the foreboding Daisen is often said to resemble Mt. Fuji. The southern face, however, is curved inward with steep rugged walls. The Kagikake Pass in Kofu-cho has stunning lookout points of this southern view that are especially impressive during fall foliage and spring months. More than a pretty landscape, Mt. Daisen is the central peak in Daisen Oki National Park, designated a UNESCO geopark, which is spread across nearly 90,000 acres of the San’in region. In Tottori, the national park is an opportunity for nature hiking, trekking and mountain climbing. Although Daisen itself has scenic trails in warmer months, if time is limited, I recommend a climb up Mt. Mitoku. 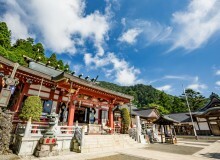 The much smaller mountain is home to a string of religious sites that are part of Sanbutsuji Temple. While the hike can be challenging at times — there’s one small portion that requires ascending a rock face using just a metal chain — the payoff is worth breaking a sweat. Near the top of the mountain is Negeiredo Hall, an ancient wooden structure built into a cliff high above walkable ground. While the building itself is impressive, the mystery surrounding the hall makes it even more so. To this day it is not known when or how Negeiredo was constructed, especially considering the limited technological means available to the the builders. It is now legend that En no Gyoja, an important Buddhist ascetic and the founder of Shugendo, threw the hall into the side of the mountain with his strength. 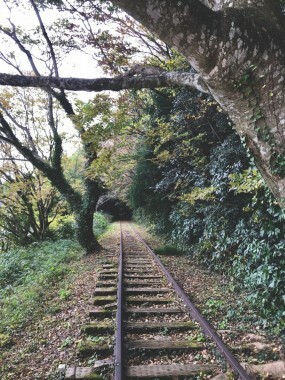 If you’re looking for a more low-key hiking experience, the abandoned JR Kurayoshi Line tracks provide a scenic trekking path, though with an admittedly smaller dose of intrigue. The rail line was never fully completed and ultimately abandoned in 1985 due to lack of use. It has now been converted into a hiking trail through the Tottori countryside. 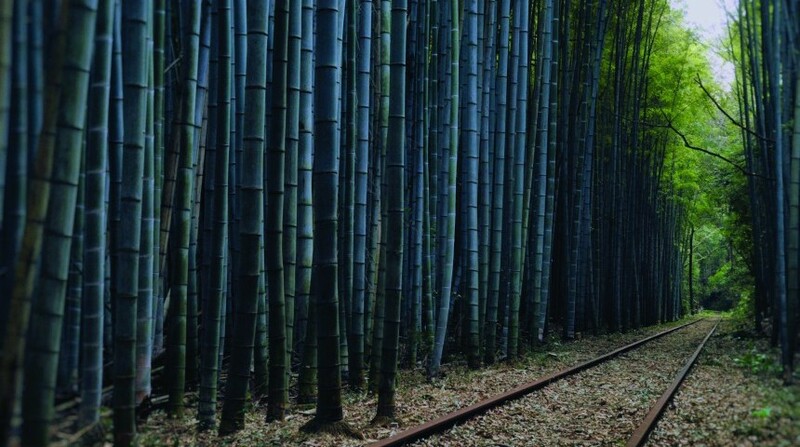 The disused tracks wind through farmland with views of the Chugoku Mountain Range and Daisen before pushing through a photogenic bamboo forest. The stop in the forest is a small dose of wonder. The nearby city of Kurayoshi is a great half-day or day trip for visitors looking for a taste of local culture and history. For the foodies, stop by one of the gyukotsu ramen shops that surround Kurayoshi Station. Substituting pork bones with beef bones, this ramen is Chugoku’s regional take on tonkotsu. Among the many offerings, Gottsuo Ramen ごっつおらーめん is worth a visit for its novel (and delicious) yuzu gyukotsu broth. 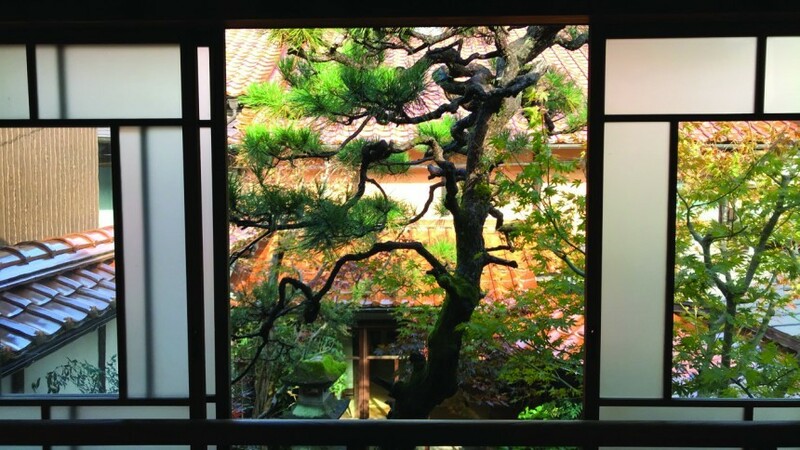 The city’s main attraction, however, is shirakabe dozo-gun or the white-wall storehouse district. A scenic remnant of the once-wealthy castle town, the old structures have been converted into a neighborhood of shops and restaurants. Purchase soy sauce from a multigenerational brewer that’s been producing for 140 years, or step into a preserved Meiji-era townhouse with an inner garden and elaborate shoji screens. You can even pick up ceramic dishware in a souvenir shop converted from a traditional sake brewery. You’ll likely see bright-green omiyage boxes as you stroll through the shirakabe district. The sweets inside contain variations on the region’s nashi (Japanese pear). Known throughout Japan, the 20th-century pear is famous enough to warrant an entire museum devoted to its history and production — tasting included — in Kurayoshi. No visit to the region is complete without a bite into the crisp and juicy sweetness of Tottori’s agricultural gem. For most, the sand dunes will be the reason they buy a plane ticket to Tottori (just an hour and fifteen minutes from Haneda). Make these other sites the reason you book a ryokan and stay the weekend.